A manure is any material of natural or synthetic origin (other than liming material) that is applied to soils or to plant tissues (usually leaves) to supply one or more plant nutrients essential to the growth of plants. Manure enhance the growth of plants. This goal is met in two ways, the traditional one being additives that provide nutrients. 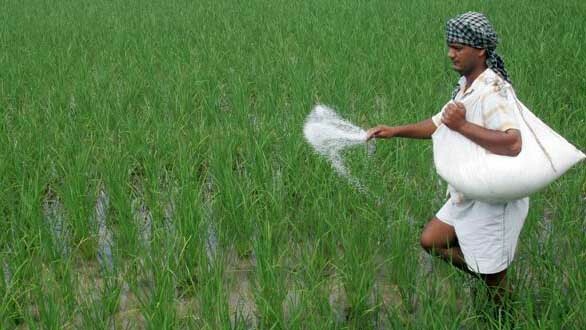 The second mode by which some fertilisers act is to enhance the effectiveness of the soil by modifying its water retention and aeration. This article, like most on fertilisers, emphasises the nutritional aspect. Fertilisers typically provide, in varying proportions. Micronutrients: copper (Cu), iron (Fe), manganese (Mn), molybdenum (Mo), zinc (Zn), boron (B), and of occasional significance there are silicon (Si), cobalt (Co), and vanadium (V) plus rare mineral catalysts. Every molecule making up every cell’s membrane contains phosphorous (the membrane molecules are called phospholipids), and so does every molecule of ATP (the main energy source of all cells). Without nitrogen, phosphorus and potassium, the plant simply cannot grow because it cannot make the pieces it needs. It’s like a car factory running out of steel or a road crew running out of asphalt. If any of the macronutrients are missing or hard to obtain from the soil, this will limit the growth rate for the plant. In nature, the nitrogen, phosphorous and potassium often come from the decay of plants that have died. In the case of nitrogen, the recycling of nitrogen from dead to living plants is often the only source of nitrogen in the soil. To make plants grow faster, what you need to do is supply the elements that the plants need in readily available forms. That is the goal of fertilizer. Most fertilizers supply just nitrogen, phosphorus and potassium because the other chemicals are needed in much lower quantities and are generally available in most soils. Nitrogen, phosphorus and potassium availability is the big limit to growth. The numbers on a bag of fertilizer tell you the percentages of available nitrogen, phosphorus and potassium found in the bag. So 12-8-10 fertilizer has 12-percent nitrogen, 8-percent phosphorous and 10-percent potassium. In a 100-pound bag, therefore, 12 pounds is nitrogen, 8 pounds is phosphorous and 10 pounds is potassium. The other 70 pounds is known as ballast and has no value to the plants. So why don’t people need fertilizer to grow? Because we get everything we need from the plants we eat or from the meat of animals that ate plants. Plants are factories that do all of the work to process the basic elements of life and make them available to us.